We are a social enterprise charity. Our vision is for people with learning disabilities to be valued in the workplace, to reach their full potential and feel included as members of society. 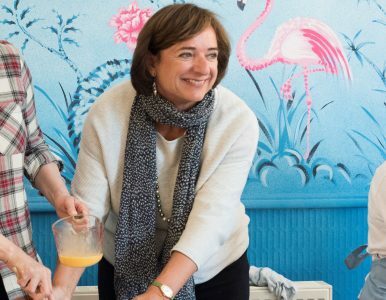 Founder & Chairman Rosa Monckton, whose younger daughter, Domenica, has Down’s Syndrome, set up the registered charity to help young adults with learning disabilities find and retain meaningful employment. There are 1.5 million people with learning disabilities in the UK and almost 94% are unemployed. Far too many are missing out on the basic right to aspire to a career, along with the wider social networks, better emotional and physical health, and increased independence that comes from having a job. They share the same aspirations as everyone else and they want nothing more than the opportunity to demonstrate their full potential. Domenica was Princess Diana’s last godchild, and Rosa passionately promotes the late Princess’s belief that “everybody needs to be valued and everyone has the potential to give something back”. At Team Domenica, we strongly believe that young adults with learning disabilities have the right to work, to lead fulfilling and purposeful lives, to have their individual gifts and talents recognised, and to feel included as valued members of society. Based in central Brighton and launched by the actress Julie Walters in September 2016, we operate through a unique three-tier set-up of Training Centre, Training Café (Café Domenica) and Employment Centre. Through this we provide employment programmes to young adults with a wide range of ability, referred to as our ‘candidates’ to more accurately reflect and emphasise their role as people ready for employment. We have already achieved an impressive 33% employment rate, more than five times higher than the national employment statistic (6%) for people with learning disabilities. In time, we plan to open other centres along the South Coast, London and then nationally. We believe that we are at the forefront of a movement that will lead to real change in the lives of people with learning disabilities and the way they are perceived by employers and society as a whole. Together, our mission is to help people with learning disabilities discover their career potential, to create employment opportunities and to remove barriers to work in local communities. Rosa is a British businesswoman and charity campaigner. 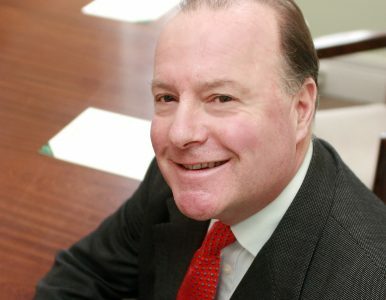 Chief Executive of Tiffany’s in London from opening in 1986, Chief Executive of Asprey & Gerrard in 2000, then becoming non-executive chairman in 2002. Rosa is now a non-executive director of Aurum, which is the holding company for Goldsmith, Mappin & Webb and Watches of Switzerland. Rosa has been awarded with an MBE for all her charitable work for young people with learning disabilities over the years. She has been involved with several charities including Together for Short Lives, The Acorns Children’s Hospice, Downside UP, The Down’s Syndrome Educational Trust, KIDS (charity) and ulgarian Abandoned Children’s Trust. After reading English at Oxford University, Alex trained at the Mandarin Oriental in Hong Kong, worked for Marco Pierre White at the Criterion and helped open various Rocco Forte properties. She then went on to set up Millers Bakery, with her husband Marcus Miller. In 2008, Alex became the host of the highly acclaimed show, The Hotel Inspector. With several series firmly under her belt, Alex's latest venture The Fixer, hit BBC2 in January 2012. 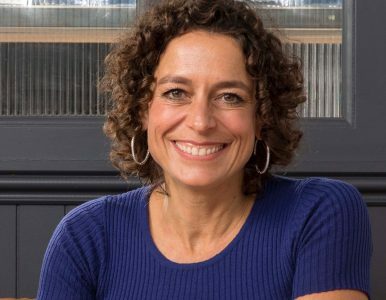 She has now done ten years as Hotel Inspector, and three years of travel shows as well as various restaurant programmes for the BBC and Channel 5. 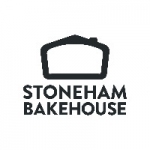 Millers Bakery is now a 52,000 sq.ft operation, supplying most of the five-star hotels, restaurants and burger joints in London, as well as providing frozen and part-baked bread and pastries across the country. Alex is also a trustee of the Landau Forte Academy Trust. Charles became a Chartered Accountant after reading English at Trinity College Cambridge. Following 9 years with Coopers & Lybrand in London, Paris & Tehran he has worked as Finance Director for Cartier Ltd, Tiffany & Co Ltd, the Duchy of Lancaster and Asia House. He is Treasurer of Lygon Almshouses and St Thomas’ parish, both in Fulham. Kevin Pakenham is co-founder and director of Pakenham Partners, a specialist corporate finance house. 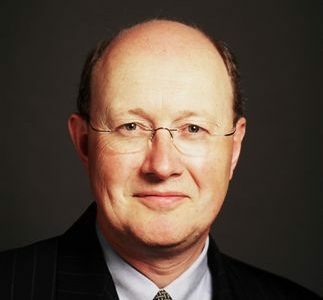 Working in finance since 1972, he has served on many investment boards and committees, including currently – The Pearson Group Pension Plan, Aberdeen Japan Investment Trust and St Antony’s College, Oxford University. 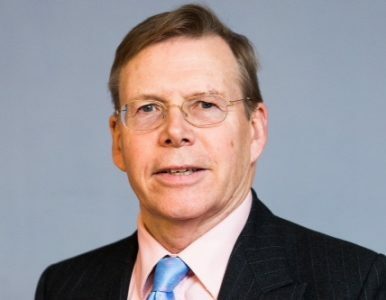 Kevin is chairman of the trustees of the Longford Trust, and also a trustee of the Pilgrim Trust. He was a Trustee of the Ireland Fund of Great Britain between 1989 and 2009, serving as honorary treasurer during that time. Matthew Knight attended Newcastle University and the College of Law at Guildford. After completing his articles with Farrer & Co and undertaking two years of post-qualification experience with Sinclair Roche & Temperley, Matthew joined Cripps Harries Hall in 1984. Two years later, Matthew became a partner. In 1994, he established Knights Solicitors and Matthew has acted in a number of reported cases. Boasting many areas of expertise and with more than 20 years of experience, Matthew Knight has received a wealth of positive feedback from his clients. Matthew is listed in elite 'Leading Lawyers' list, The Legal 500 United Kingdom 2017’s guide to outstanding lawyers nationwide. Married with three daughters, Matthew’s pastimes include shooting and tennis. Matthew is also Clerk to the Donnington Hospital Trust. Lisa has 25 years of experience of working with young people with ASC, MLD, SLD, PMLD and complex needs. She has worked alongside a wide range of professionals and experts to create individualised programmes, placing young people at the centre of their learning. She has piloted several successful inclusion projects and worked in a wide range of specialist educational settings, including providing high quality bespoke post 16 specialist provision and post 19 transition. She has also worked in the charity sector. Lisa has always pioneered new ways of working that make a real difference to the lives of young people with a learning disability. Whilst recently studying for an MA in Experimental Psychology Lisa explored how innovative technology can be developed to support people with Autism. She believes passionately in expanding neurodiversity in the workplace and that the benefits this brings to corporate business is of equal value to that of the young person with a learning disability they employ. 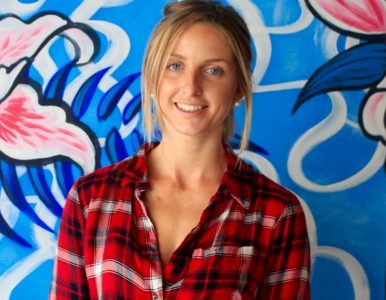 Danielle was born in Australia and spent her early career in fashion and retail management. 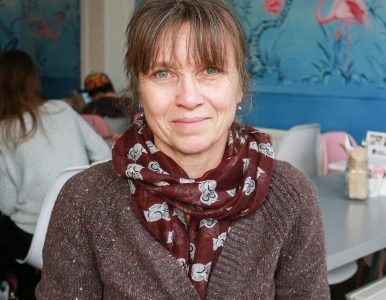 She spent 12 years working in the film industry in London, and then opened her own cafe and retail store in Brighton gaining full knowledge of Food Safety & Hygiene standards and hospitality. Danielle is highly skilled in operations and takes a creative approach to problem solving. She is mother of two girls and has a niece with severe learning disabilities enabling her to support to our candidates on a more personal level. 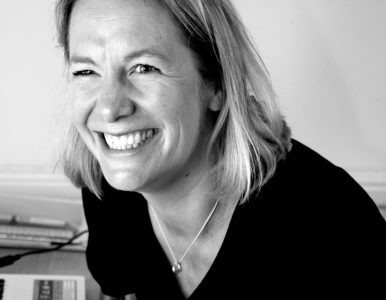 Jo has an extensive knowledge of workplace wellbeing consultancy, having previously worked in the employee benefits industry, alongside experience in new business development and relationship management. Jo is passionate about driving positive change and has demonstrated through her communications skills and eye for detail, successful development of new fundraising and marketing strategies. 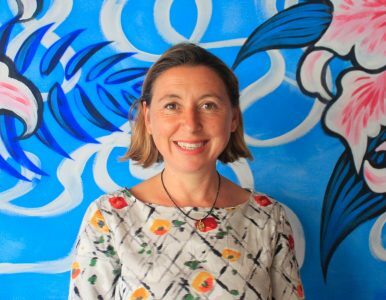 As one of the first staff to be recruited by Team Domenica, Jo provides effective finance, marketing and trustee governance support to the charity. Jeanette is a professional manager with over 12 years’ experience working within marketing and publishing. 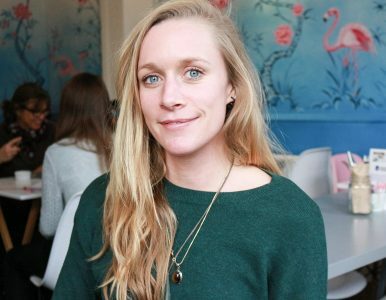 Prior to joining Team Domenica, she worked at a Brighton-based marketing communications agency, where she headed up a team responsible for producing brochures and smaller marketing pieces for a portfolio of clients. Jeanette has also set up and run her own publishing business and worked as the managing editor at The Latest magazine and as a sub-editor at Cable Guide. She has also undertaken fundraising and event organisation for both Oxfam and Greenpeace. Diana worked in the University of London Careers Advisory Service, then as a computer programmer before training to be a teacher. She has over twenty years of teaching experience in subjects including Science, Health & Social Care and Food Technology, and most recently delivering the ASDAN Certificate in Employability to sixth form students with learning disabilities. 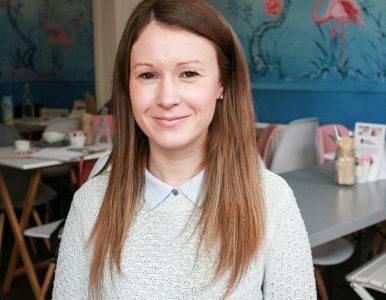 She also brings valuable experience of running a small business and café to the team. 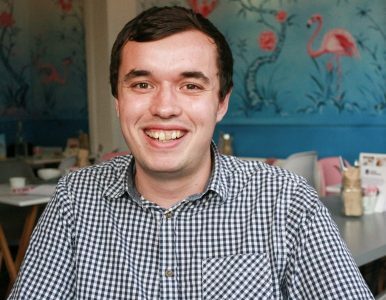 Liam studied Special Educational Needs and Inclusion at Northampton University and has written professional research papers on low unemployment rates for young adults with SEN and improvements through education. He has a vast amount of care and education experience working with adults with Special Educational Needs (SEN) before joining Team Domenica. 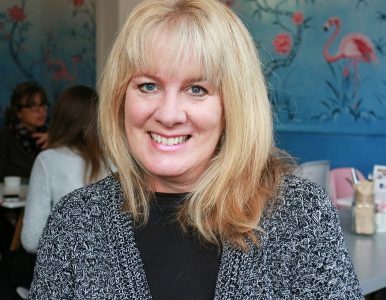 Dawn began her career as a primary school teacher, during which time she developed a passion for teaching children with a range of special needs and learning disabilities. She later had the opportunity to support in the Food Technology and Design & Technology department at a local secondary school and most recently worked as a teacher in the Circle Project, which supported and taught students with a variety of complex needs. She delivered all curriculum subjects and prepared multi-sensory resources for subject support, developing new and personalised programmes for the teaching and learning of Maths, including the delivery and assessment of Entry Level qualifications and Life Skills. 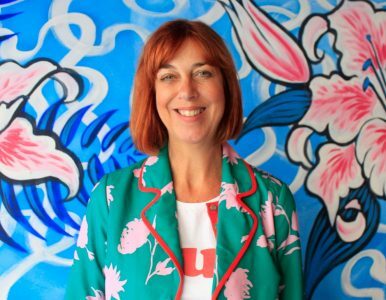 Kate provides specialist support to our candidates, helping them to reveal hidden talents, develop skills and express themselves through creativity. Whilst having widespread experience in working with people with learning disabilities, she also has a background in teaching the violin and playing with various bands and orchestras. Born in New Zealand, Daina grew up in a big family of nine children, with two girls who have down syndrome, in an open house for children with learning disabilities. 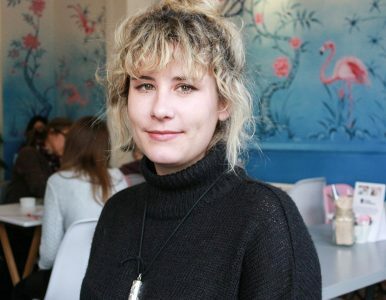 She has previously worked as a carer in New Zealand, a personal carer to Domenica, and has worked in cafes and Restaurants in New Zealand, Australia and London. With her combined care and hospitality experience Daina provides exceptional support to our candidates who are gaining practical work experience within our Training Café. Emily has over 20 years Account Management and Business Development experience. 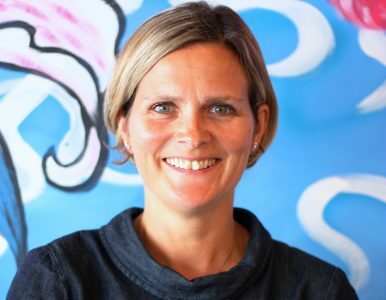 She has worked in the pharmaceutical, catering, property management and TV distribution industries which has given her the knowledge and experience required to deal with a wide variety of companies in her role at Team Domenica. She has particular strengths in relationship building, communicating and problem solving. Emily has 3 children the oldest child of which has ASD so she can relate to the challenges faced by those with additional needs. Emma has previously worked as an Individual Needs Assistant to SEN children, and has also trained as a professional Chef. Having worked in a variety or restaurants, pubs and cafes in East Sussex, she is dedicated to developing skills whilst providing real work experience to people with learning disabilities. Team Domenica provides a range of employment programmes, with progression to supported internships, and wherever possible on to paid employment. Working in partnership with Brighton Metropolitan College, local employers, activity providers and charities, we are delivering an essential education, training and support service within the Brighton & Hove community. “We have really enjoyed having the Team Domenica candidates at Ricochet as part of the team. We have found meeting and spending time with the candidates really rewarding and we find the response from the whole office is positive. We hope the candidates are also enjoying being part of our team and are learning a lot. We would like to thank all our donors, charitable trusts and foundations, who have so generously contributed within our current financial year. Without your support the essential work that we do would simply not be possible. We also thank all those who contributed through our 'Virgin Money Giving' platform. From £3 donations to £5,000, every single pound helps us in our aim to get young adults with learning disabilities into employment.